Home > Blog > Help! Have you got any campervan advice for your fellow countrymen? We like to constantly evolve our website and provide new and interesting advice for our clients and our latest idea is to add country-specific tips for our overseas clients. Lots of clients report good and bad issues that surprised them during their trip and often say “you should tell new clients from our country about that as they won’t be expecting it” so we already have quite a few tips to offer but we’d like more. 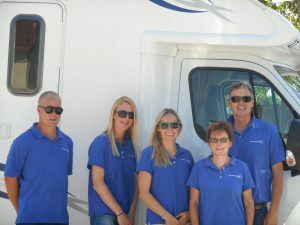 If there was anything that took you by surprise as an overseas visitor travelling in a campervan in France/Europe or if you have any pearls of wisdom to share with your fellow countrymen, please send us an email at info@francemotorhomehire.com with your top tips. We’d love to hear from you with whatever information you think might help your fellow countrymen plan a better campervan trip. Must see places, places to avoid, things to bring with you, things to leave at home, things to plan and budget for, things to do and not to do, things that are great value and things that you found surprisingly expensive – we are keen to share it all so get in touch!